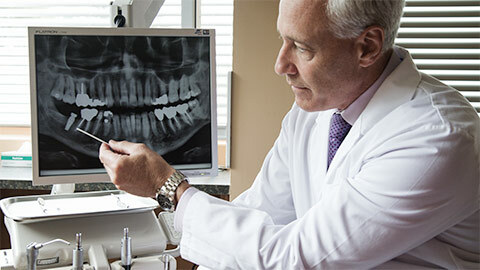 A missing tooth can have a serious impact on the quality of your life. Do you miss your favorite foods? Are you self-conscious at parties and in public? If so, you will be happy to know that dental implants offer a lifelong replacement for missing teeth that will leave you smiling. 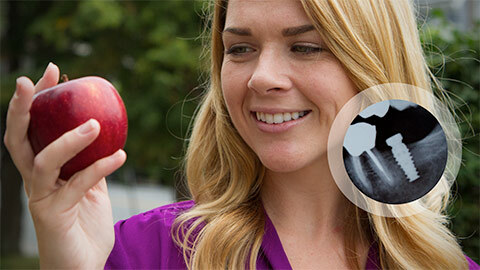 Dental implants can also improve your overall dental health. When you lose a tooth, the surrounding teeth will begin to shift position and “lean” into the gap left by the missing teeth. Over time, this can cause damage to the teeth and to your jawbone, which can result in further, more serious damage and also alter the appearance of your smile. A dental implant is a small appliance that looks similar to a common screw and is made from titanium. In a surgical procedure, the implant is placed in your jawbone where it becomes integrated into your bone tissue to form a long-lasting and secure foundation, just like a natural root. Once the area around the implant has healed and it has fully integrated into your jawbone, a crown is then attached to the implant. 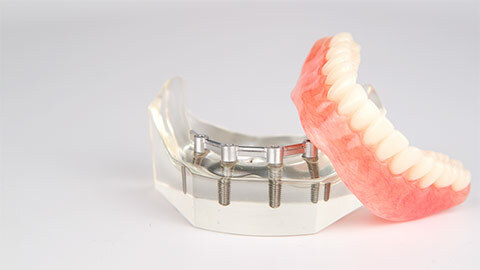 If you are missing multiple teeth, we may restore them with an implant-mounted denture which provides a permanent, secure replacement for the missing teeth. With proper dental care, an implant should last a lifetime, although the crowns or dentures may need to be replaced or repaired from time to time. If you are missing one or more teeth, Dr. Sudomir and his team can assess your mouth to see if dental implants are a solution for you. Contact our Sterling Heights office to book an appointment with us today.